To the tune of the Fresh Prince of Bel Air theme song, she wrote a rap summing up her love for him and he wrote her a sentimental love poem. 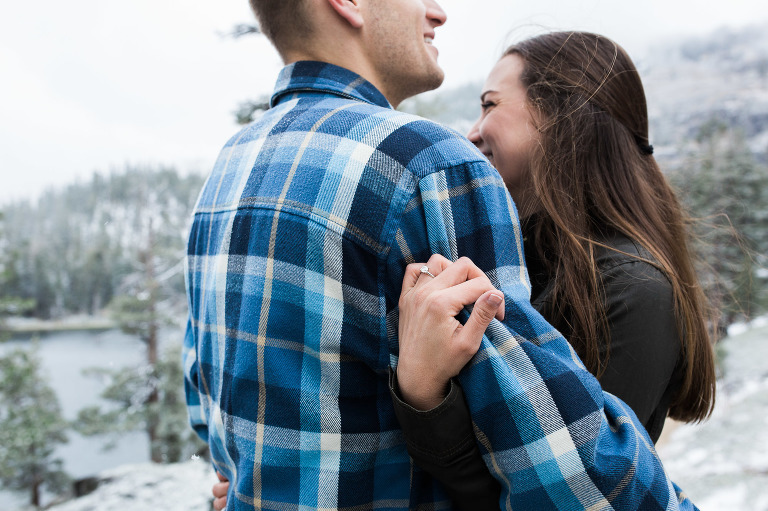 I loved how Kristina and Dean took my suggestion of “write each other a love letter before your engagement session” to a completely new level and found a way to be themselves. 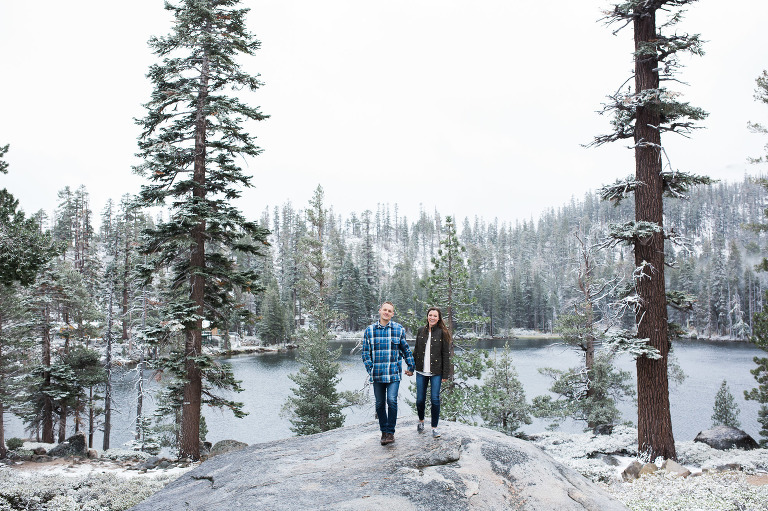 Kristina and Dean’s session was perfectly and unintentionally aligned with the first snowfall of the season in one of the most gorgeous places on earth. 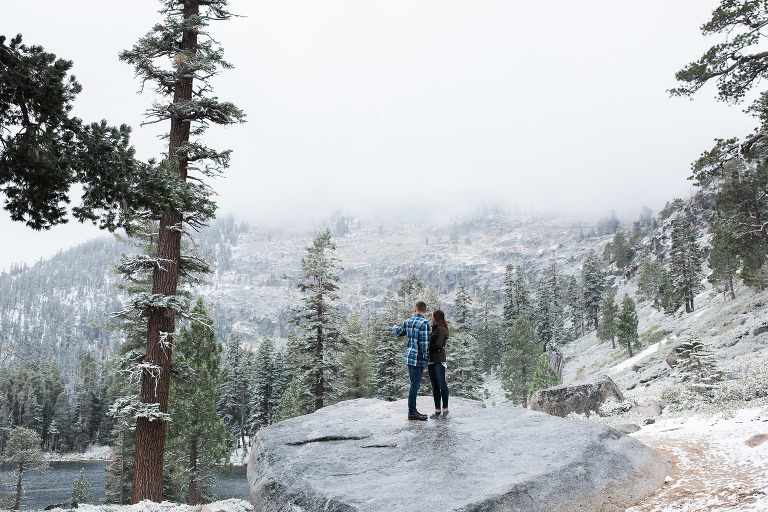 This was aesthetically serendipitous, but it also recreated the similarly unexpected snowy conditions of the weekend Kristina and Dean first met and hiked on this trail together. 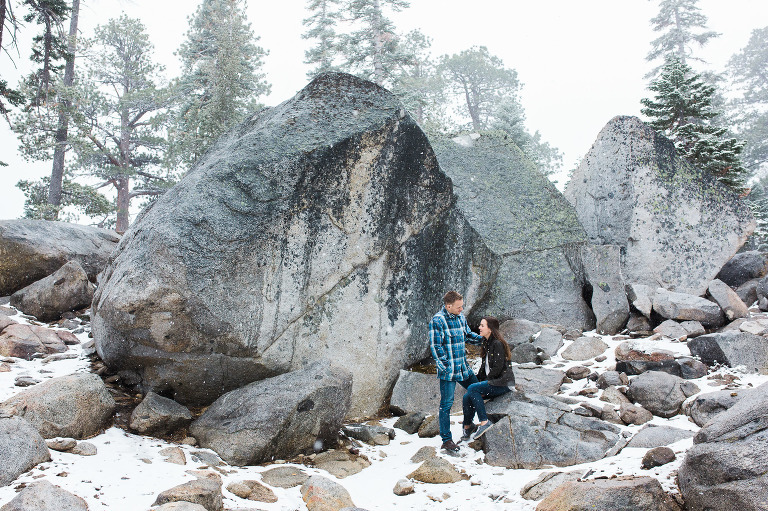 I’m thankful for adventurous couples!